Our Junior Academy and Preschool provides a rich environment where students are encouraged to explore and are challenged to learn. 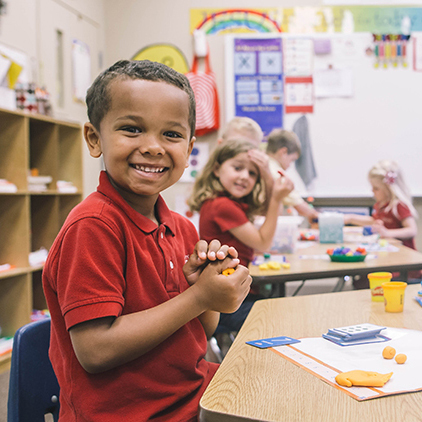 Our preschoolers will make new friends and grow in self-confidence as they develop reading and writing skills and are introduced to important literary concepts, math skills, and social skills. Within our warm and nurturing environment, children are taught from a biblical world-view by highly qualified and caring staff. Physical development and imagination are enhanced through many opportunities for creative play, hands on learning, and social development. Our preschool program is certified by the Florida League of Christian Schools. Our Lower School combines the best of private school and home learning in a unique community school experience. Students are provided with a rigorous curriculum in a warm and spiritually uplifting environment. Certified teachers partner together with parents to provide quality instruction that teaches to the heart of the child. Academic excellence, spiritual and moral development, and leadership skills are the focus of our program. 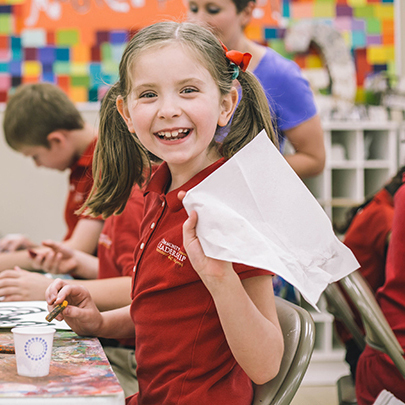 Lower school students are provided many enrichment experiences through classes in music, Art, and physical education. It is the community of families at CLA which really sets us apart. We hope you will visit and come be a part of this unique and exciting program. There is a three day and five day option for Lower School students. Our Middle School is designed to provide a college preparatory curriculum to its students and meet their changing physical, social, and academic needs. In middle school, students are making the transition from child to young adult. They must embrace life and its questions from a new perspective and must grow in their maturity, independence, and responsibility. Our program is designed to give students the skills necessary for higher learning, to help them grow in their ability to organize knowledge, cooperate in groups, and gain independence. Our teachers are aware of and address the unique spiritual needs of this age as well. 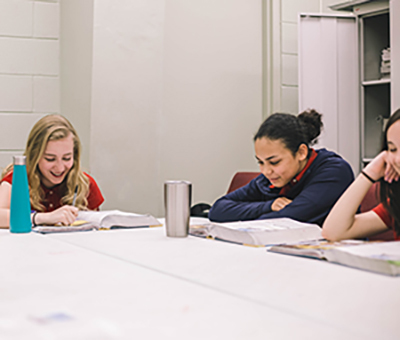 Inductive Bible studies help our middle school students grow in their faith and knowledge of the truth. Throughout the middle school years students will be exposed to enrichment opportunities, will start to earn high school credits, and will begin to explore together with their parents pathways for their future learning and success. In sixth and seventh grades, students attend classes on site Monday through Thursday and have an option to complete lesson plans for Friday at home or at school under the direction of a certified teacher. Eighth grade students attend classes on site Monday through Friday in order to accommodate a rigorous schedule of advanced coursework and in preparation for the transition to high school. CLA’s Student Council exists to build relationships and leadership among our middle school students while giving back to our community. 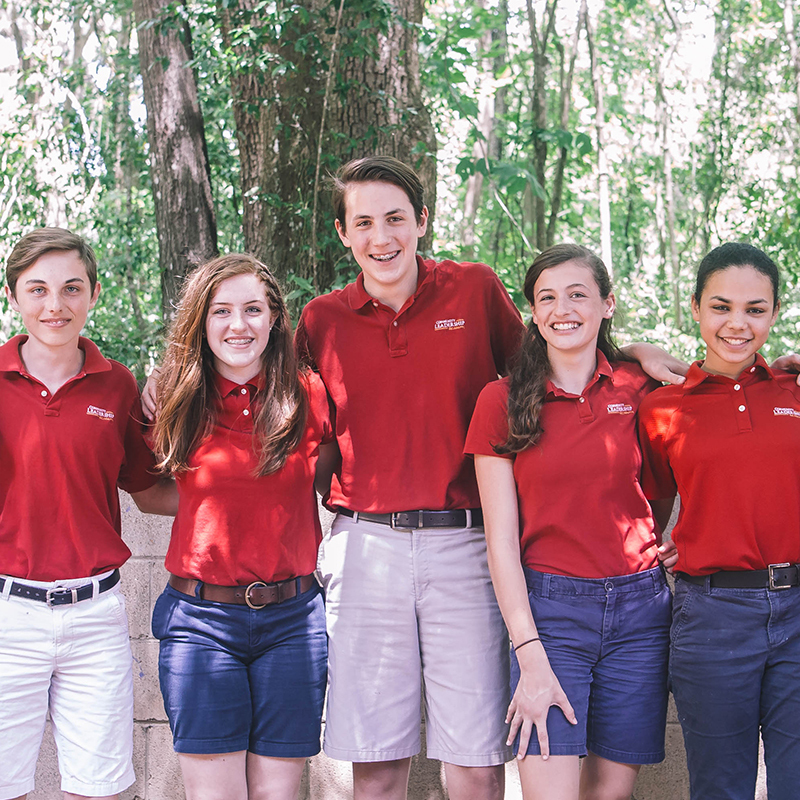 Within Student Council, students are elected to hold leadership positions in the club and learn the basics of community involvement from planning to implementing both in-house and local service projects. Student Council meets biweekly. CLA’s Book Club promotes a love of reading for students in sixth through eighth grades. Students meet weekly to discuss a pre-selected novel that club members read throughout the week individually. The Making for a Difference Club at CLA meets weekly and was founded to give students an opportunity to use creative talents to serve the community. Items such as stuffed animals and bracelets are hand-crafted by students and then sold for charity. The Film Club at CLA is focused on giving students an opportunity to rotate through different positions within a film’s production, such as acting, directing/assistant directing, screenwriting, props and costuming, and so on. The Film Club meets weekly. The Junior National Beta Club at CLA focuses on four areas: achievement, character, leadership, and service. The Beta Club is GPA based and by invitation only to promote student growth in these four areas. CLA’s Beta Club meets biweekly.